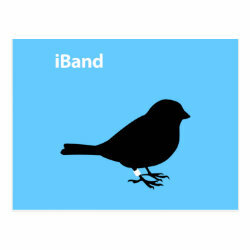 This twist on the popular iPod ad series features the silhouette of a songbird with a white leg ring, along with the text iBand in the upper left. 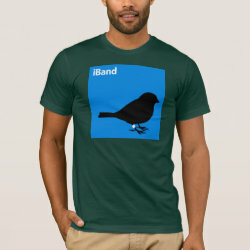 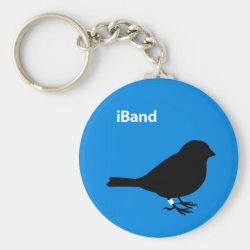 This fun design makes a great gift for any bird bander! 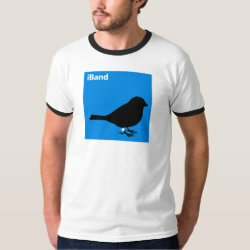 Here the background is blue.